The development of new technologies always involves new technical challenges, often also related to heat transfer. With it´s existing portfolio of plastic heat exchangers and with the development of new solutions, CALORPLAST is the right partner for the development of your new technologies. 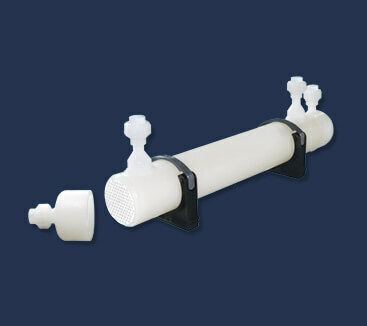 For cleaning and drying of Biogas, CALORPLAST offers gas-water heat exchangers in different units sizes. The Biogas passes the heat exchange section build from a vast number of small water cooled tubes. So the gas will release it‘s corrosive load and keep the combustion equipment clean and safe. Following the trend to renewable energies from wind turbines or solar systems, the storage problem of periodically available energy resources gets more and more into the focus of research and development activities. 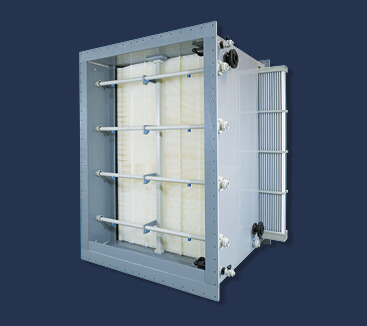 Battery solutions (Vanadium redox flow) shall improve the availability and CALORPLAST offers battery cooling heat exchangers for liquid and air cooling. CALORPLAST heat exchangers are the right choice for a broad range of sea water applications in marine, aqua zoos, air conditioning, a.s.o.. Contact us for information on your application. 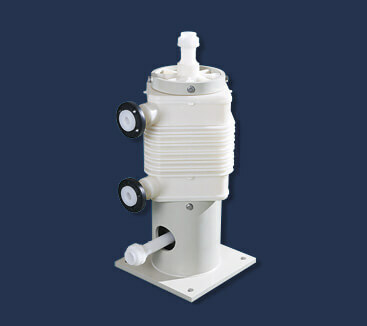 CALORPLAST heat exchangers are proven in the electronic industry for semiconductor production in wet etching processes. Depending on capacity, flowrate and size requirements, closed circuit devices like the tube plate heat exchanger or the tube and shell heat exchanger are recommended.